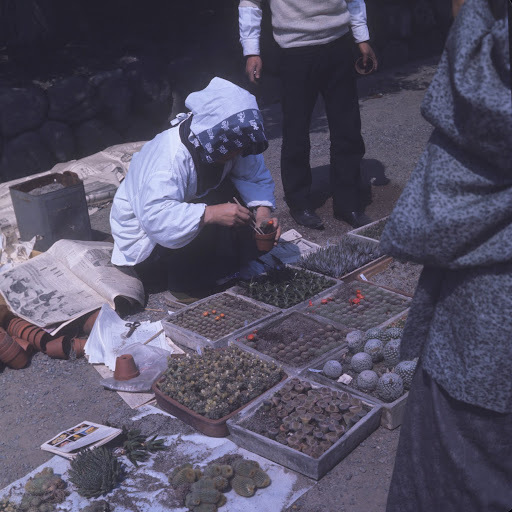 Flower vendor potting plants. I'm guessing this was taken at the same bonsai flower show I've posted other photos from before. I'm not sure where or when the show was. JLH says it could have been from a trip they took to China in 2003 or so. They looked at bonsai one day while wasting time waiting for the ship on their Yangtze river cruise.